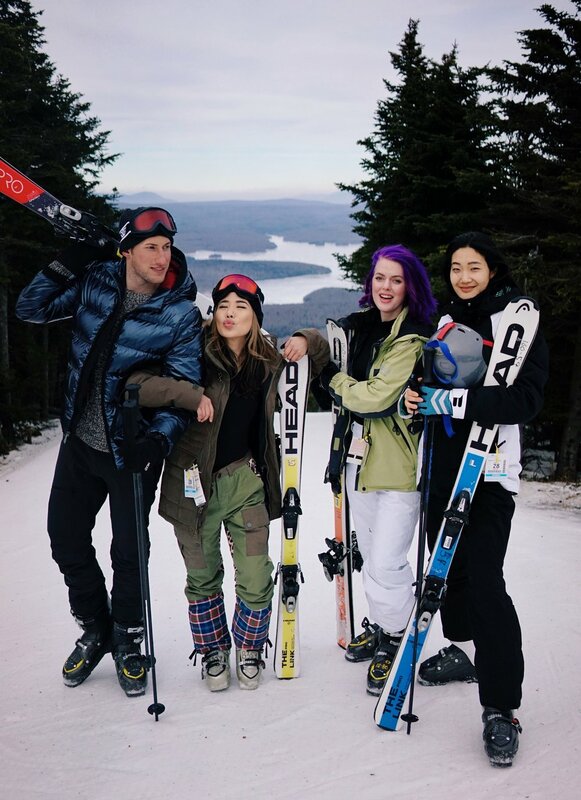 The other weekend I ventured out of NYC for a ski trip in Vermont with Skedaddle, an on-demand travel app for professional bus rides! The app is actually super cool and allows you to join or create a bus route to popular destinations (think NYC to Vermont ;) )! Perfect for someone that doesn't have a car (aka, ME!!). They have a bunch of routes for ski trips this season so definitly check them out!! I was SO excited to get back on the slopes (after having been in Colorado a few weeks back for a ski trip) as skiing is one of my favorite things to do in the winter!! 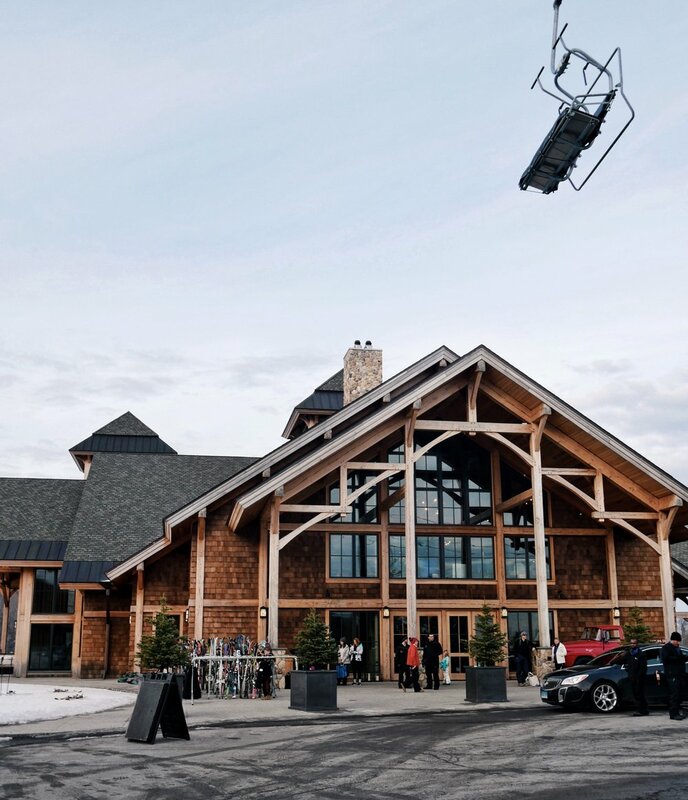 We arrived early Saturday morning at the Hermitage ski resort, a small luxe private ski resort close to Mount Snow which was ABSOLUTE goals. After a long day of skiing we headed back to the resort to have a few drinks and chill before heading to dinner and checking into our hotel. The next day we went to Mount Snow for another full day of skiing! After doing a ton of runs down the mountain the time finally came where I had my HUGE wipe out. Some of the snow conditions were not the best as it had rained the night before and areas had frozen over. After going down a pretty steep slope very fast, I hit some ice pebbles and fell. I probably rolled/tumbled/somersaulted down 100 meters before finally stopping. I laid in the snow for a few minutes as I knew my knee had gotten pretty banged up but really wanted to make it down the mountain and not be rescued. Thankfully a few people brought me my ski gear as I was laying in the snow and I went slowly down the rest of the mountain to complete my run! Once I got back to the lounge though, the pain really set in and it was very difficult to walk. I was glad it was towards the end of the day as I did as much skiing as I wanted to do that day before heading back to NYC. As I sit here at Happy Bones writing this right now, my knee is still a touch sore, but for the most part, it's almost completely healed. I'm so glad the accident wasn't worse (it definitely could have been) and my love for skiing still remains!! Overall, the weekend was so fun and I'd redo it again in a heartbeat (even my fall). Here are a few of my favorite pictures from the weekend!